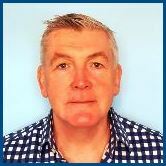 Peter has over 20 years’ senior management experience in various public sector appointments. As a senior manager with Surrey County Council he led its democratic and civic services, managing the election and induction of councillors, the transition to new systems of governance, and the scrutiny of changes to NHS services in the county. 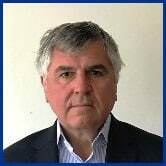 He has also held positions with the Surrey Police Authority and the Surrey Probation Board, and has more recently carried out a number of projects as an interim manager in local government. Alison has over 20 years experience as a pensions lawyer. She currently works as a Financial Ombudsman and is also a voluntary adviser for The Pensions Advisory Service (TPAS). She leads our work on Research and Campaigns. Ian has 35 years of experience in the international oil and gas industry, primarily with BP, where he held a number of senior commercial management roles. He has worked on major energy projects in Europe, North America, the Middle East, Africa and Asia. He is also a business mentor at UnLtd, a charity providing support to social entrepreneurs. Ian is our lead Trustee for Human Resources. Shaun is a retired tax director. He was an Inspector of Taxes before joining oil major BP in 1985. After 20 years with BP in senior leadership roles in London, Glasgow, Brussels, and Singapore, Shaun took early retirement in 2005. He has been a trustee since 2006, Chair from 2007 to 2013, and was our company secretary from 2008 to 2015. He is also a trustee of Carers of Epsom and of Epsom Parochial Charities. Shaun is our lead Trustee for Mental Health and also ITC. After gaining a B.Sc in Economic and Social Studies at the University of Sierra Leone in 1976, Mohammed pursued a career in audit and accountancy. He is both a Chartered Certified Accountant and Chartered Internal Auditor and holds an MBA from the University of Warwick. Mohammed worked for a number of accountancy firms both in Sierra Leone and London before setting up his own accountancy practice in 1992. He joined the Home Office as Internal Audit Manager in 2000 where he also represented the Internal Audit Unit on the Directorate’s Equality and Diversity Working Group. He joined Relate Richmond, Kingston & Hounslow as Treasurer Trustee in November, 2015. Mohammed’s other interests include current affairs and politics. Hony is a Director in housing; an expert in directing the transformation, expansion and operational management of not-for-profit organisations to ensure financial performance and stability. Key strengths include leading executive teams to a set strategic vision, strengthening corporate governance and directing effective business planning; rapidly assessing operations to formulate and execute transformations that drive process efficiencies and optimise both human and capital assets. Hony has an MA in Housing Law and Policy, a Masters in Bio Chemistry and an MBA from London Metropolitan University. She is also a non-executive director of Eldon Housing Association. Alexis is an experienced consultant and entrepreneur. She is the co-founder of a successful tax firm which specialises in technology tax incentives and sits on a UK government working group for the R&D Tax Relief scheme. She has degrees in chemical engineering and an MBA from London Business School. She led the University of Michigan London Alumni group for seven years. In her free time, Alexis enjoys public speaking, running and reading. George has over 20 years experience as a consultant, advising large and medium sized firms on all aspects of Strategy and Change Management. He has held board roles in Blue Chip organisations and founded several successful companies specialising in Organisational Transformation. Prior to that he was Head of Sales for the Industrial Gas dIvision of Elf UK. He holds an MBA from Henley College and is married with 4 children.